Apart from PII, we collect Your non-personally identifiable information (NPII) available upon Your using the Website regardless of submitting any personal information on the Website. NPII includes but is not limited to the userâ€™s behavioral data, such as Internet Protocol (IP) data, browser details, geo position, userâ€™s operating system, the pages of referral and exiting, date and time details, Internet service provider details etc. The NPII we collect from You can be transmitted to the third parties we contract with unless You exploit the means to hide Your NPII or express Your request to stop using Your NPII directly. - it is necessary to protect personal or public safety. In case of merging, acquisition, consolidation or purchase of the owning company and its assets, it is possible that Your PII may be transferred and, thus, disclosed to the receiving party on the course of the stated actions. According to the courtâ€™s decision on insolvency proceeding, if it takes place, in case of liquidation of the owning company, the liquidating party or the authorized representatives of the company can transfer, sell, dispose or license Your PII within the provisions stated by this courtâ€™s decision. In this case, it is possible that the owners of the PII shared on the Website will be notified of the forthcoming procedures and modifications upfront or the notification will be published openly on the Website. It is possible that acquisition, merging and other stated modifications are associated with a non-US company. In order to discontinue contacting with us and receiving more information from Us, You need to close this and all other Website pages. 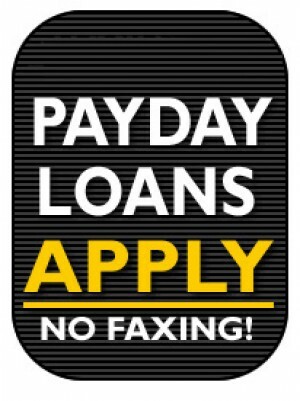 If You have already shared Your personal information with us and want to opt out from further communication and remove Your information from our lists and database, You can contact us directly with respective request using this email address contact@Month-Payday-Loans.Com or other contact information indicated on this Website. Your request will be processed and the information removed from our database. As soon as Your information is removed from out database, You can be sure it will not be shared with any third party, used for any secondary purposes, or used for marketing activities. Still, since the information has already been shared with third party marketers, we cannot take any responsibility for the communication sent to You by these third parties. You should contact third party marketers directly to remove Your information from their databases. The information shared with our third party lenders can be used to verify Your identity (via SS number and/or driving license number, for example) and Your information against national databases. Additionally, the lenders we contract with may need to perform credit verification and use Your PII to request a credit report from one or more credit organizations, including but not limited to the major credit bureaus, to determine Your credibility and assess the risks associated with providing credit products to You. Credit report request may lower Your credit score. 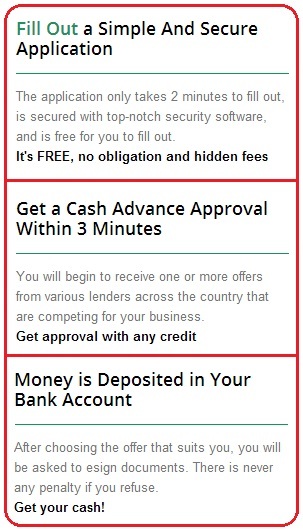 If You continue using the Website and submit Your information via the online form on the Website, You give Your express consent to have Your information verified and Your credibility checked according to the provisions of these third party lendersâ€™ legal documents used to govern and regulate their practices and communication with You. These are small unique files assigned by a Website server to the users of this Website when these users make visit and perform activity on the Website (such as linking and clicking). Once installed on the userâ€™s computer, these cookies collect the information about the userâ€™s online behavior, browsing and user experience details, and send it to us or third parties authorized to collect this information from You. Cookies are used to enable userâ€™s recognition, to analyze userâ€™s preferences and adjust the services provided online according to the collected information. Additionally, these small files are able to detect fraudulent activity and prevent security breach. Cookies are of different size and length (temporary or permanent ones). Session or temporary cookies are used for a single operation on the Website and erased shortly after the user exits browser or website. Permanent or persistent cookies are stored longer and survive the exit from webpage or browser. You can manually manage Your cookies preference in Your browserâ€™s options and delete these small files if You consider it is necessary. More about cookies and cookies management on http://www.cookiecentral.com/ and http://www.aboutads.info. Nevertheless, no entity can unconditionally guarantee that Your online experience will be 100% secured and no violation and/or illegal intervention can take place. The owner of the Website cannot take responsibility for any illegal activity, security breach, stolen or modified information, which happen beyond the ownerâ€™s control. In order to guarantee protection from any malicious activity from the outside, You can request to erase Your data from any listing or database You consider insecure. At the same time, third party marketers who receive Your PII are contractually responsible for protecting Your information to the extent reasonably possible. We provide verification on the diligence of our partners via multiple means and regulatory contracts and check their information security policies. In case any violation takes place, applicable laws and regulations are applied to manage the situation and eliminate possible negative consequences. The users of the Website are within their rights to modify, amend and withdraw their PII collected on the Website. In case it is necessary, the user who decides to make changes to their own information should contact us via email contact@Month-Payday-Loans.Com or other contact details stated on the Website and provide inquiry regarding the modifications to be made. Similarly, if any user of the Website has any complaint regarding the operation on the Website and/or any of its service, this user should use the stated contact details and provide the details of complaint. We will review all requests and complaints in the shortest time possible and reply as soon as we can.